Some of Claude Monet's best known paintings were done in Argenteuil, including one of his famous garden scenes Monet's Garden at Argenteuil which he painted in 1873. Monet worked almost exclusively in Argenteuil from 1875 to 1878. 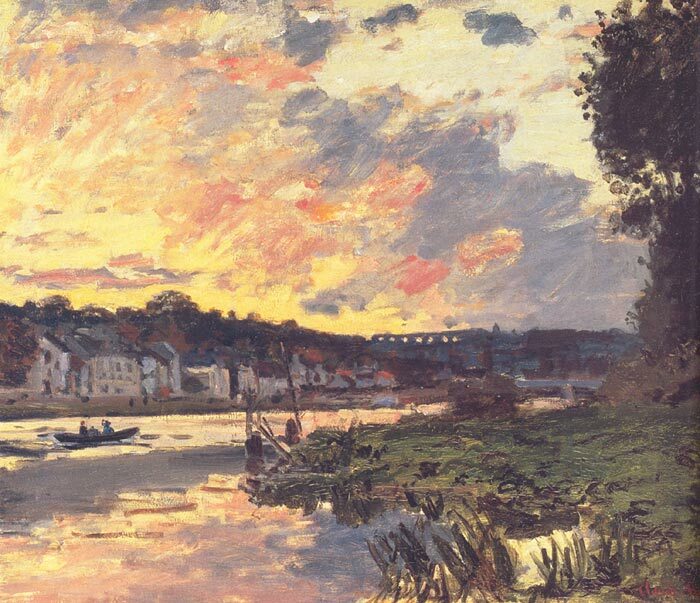 The Seine at Bougival in the Evening was one of his famous paintings during this period. SPECIAL NOTE : The painter will make the reproduction as close to the original oil painting as possible. If you want your painting to alter from this likeness, please email us and " The Seine at Bougival in the Evening, 1869 " will be reproduced according to your special requirements.